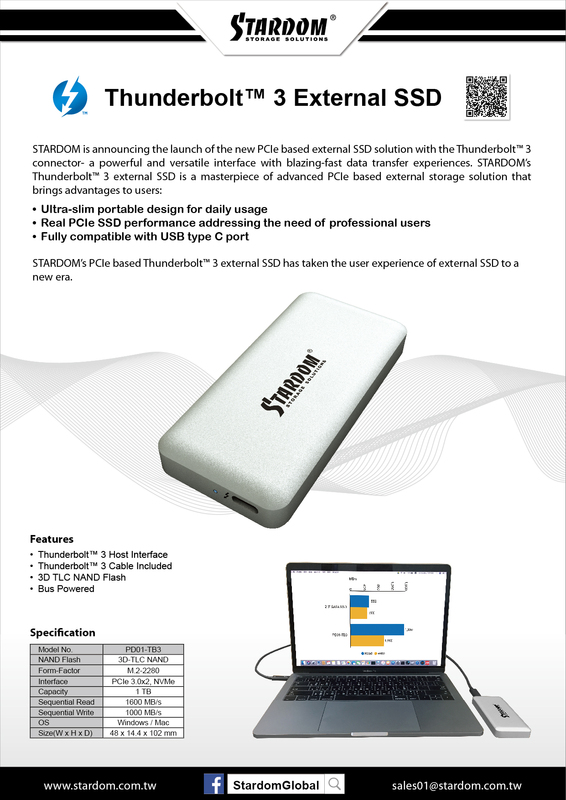 STARDOM’s PCIe based Thunderbolt™ 3 external SSD has taken the user experience of external SSD to a new era. 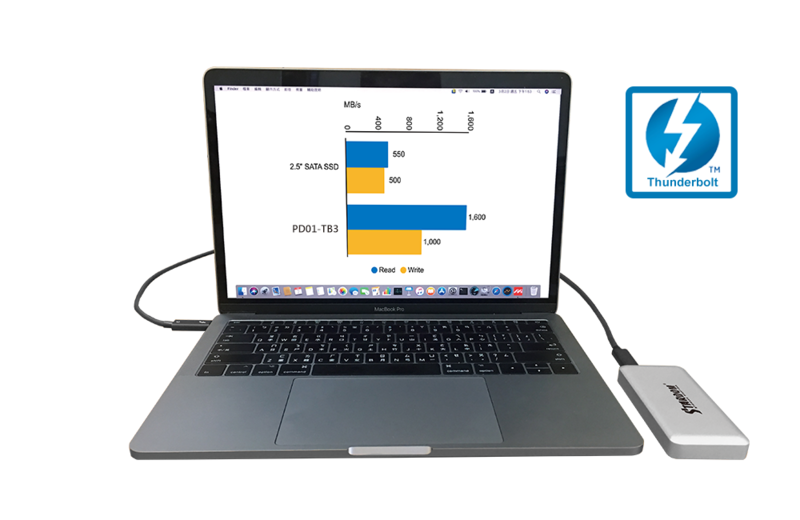 The new PD01-TB3 is equipped with 3D TLC NAND Flash via Thunderbolt™ 3 interface, which means users can attain up to 1600MB/s read speed with the PD01-01's Thunderbolt™ 3 transmission interface. 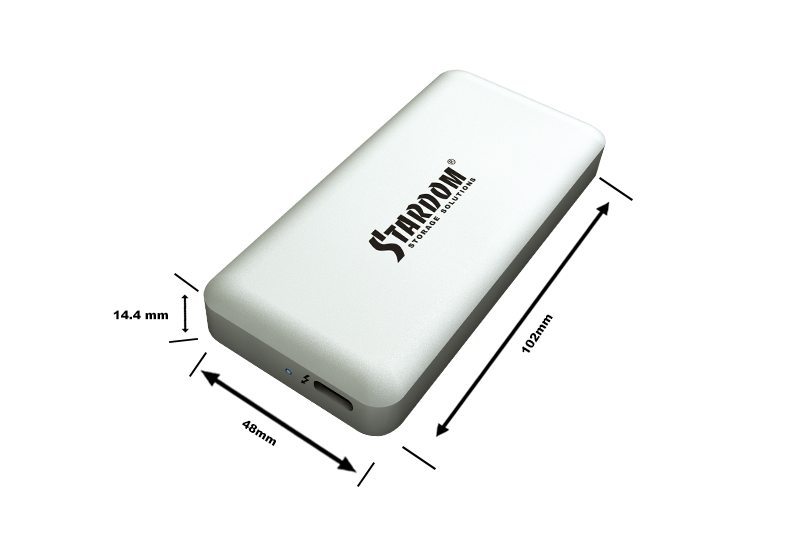 Whether it is used for search and editing photo galleries, or for video editing and synthesis, it promises smooth and easy operation. 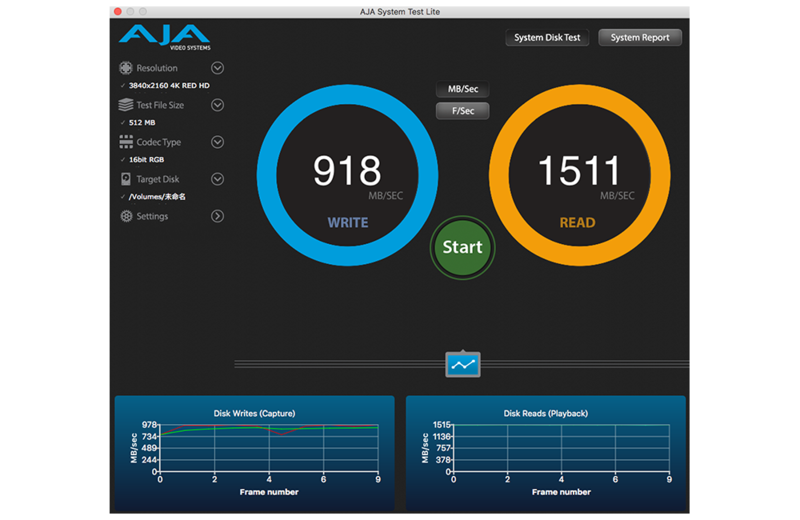 Under the Macbook Pro (10.13.5) operating environment, we use the AJA test software to test the PD01-TB3 product, set the parameters to 512MB test file size / 3840*2160 4K RED HD to test the performance of the PD01-TB3, to get the maximum performance write 918(MB/s) speed and read 1511(MB/s) speed . 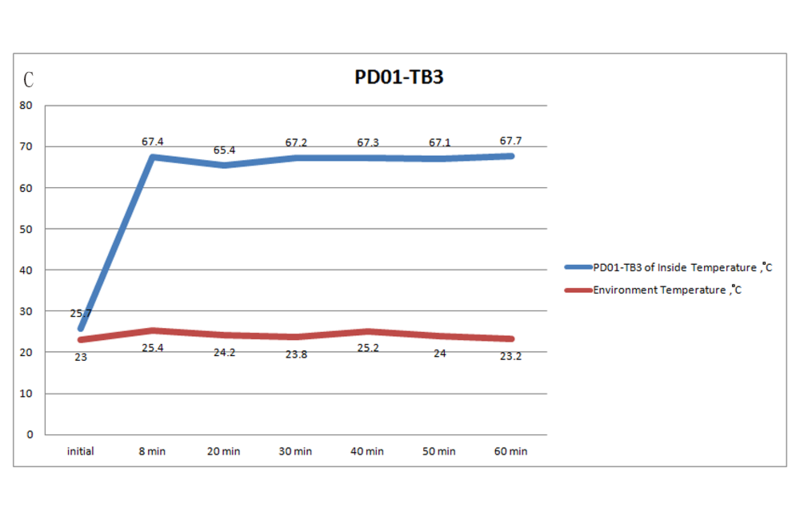 Under this performance, the user can use PD01-TB3 as the best storage device for data and video. 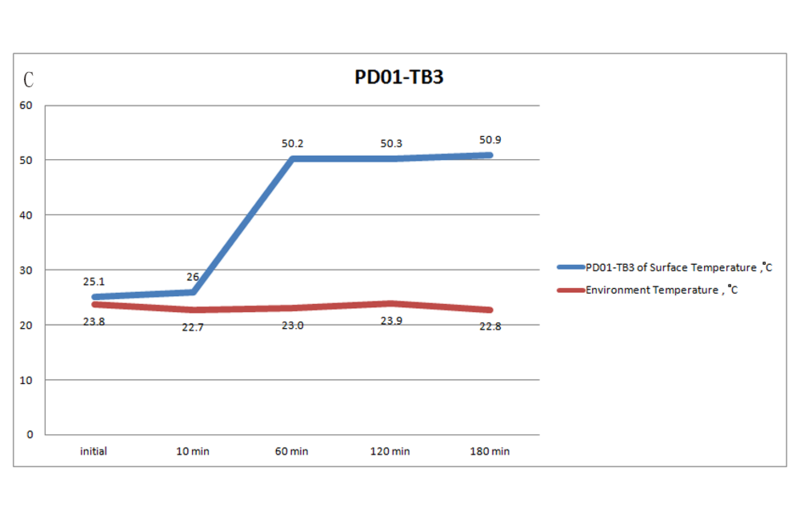 We found that after 180 minutes of PD01-TB3 for high performance operation testing, the temperature of the center of the aluminum surface of PD01-TB3 is about 50.9 degree-C, and the temperature of internal electronic components continues to be about 67.7 degree-C after 60 minutes of testing. 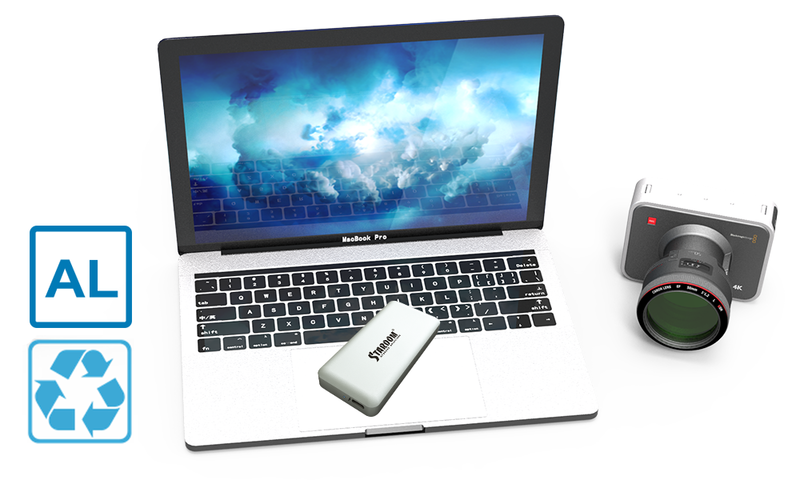 This temperature will not cause any safety problems for the equipment, you can safe to connect your laptop for data and video via PD01-TB3. 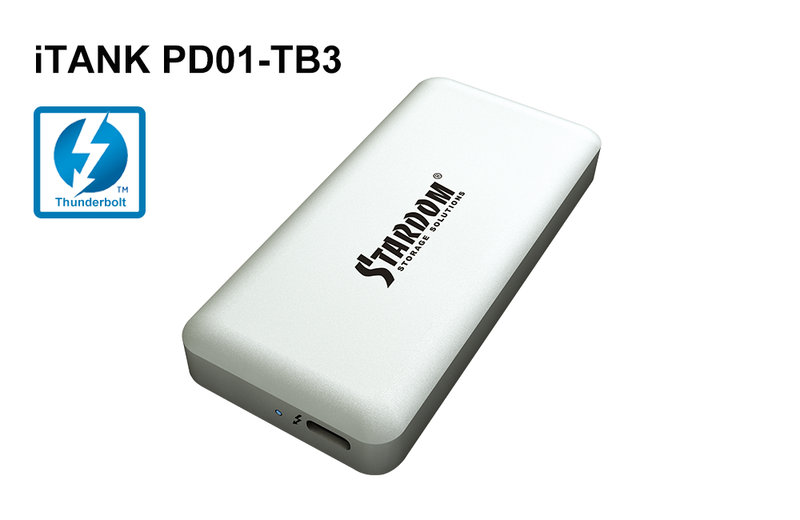 PD01-TB3 is made of highly recyclable aluminum. 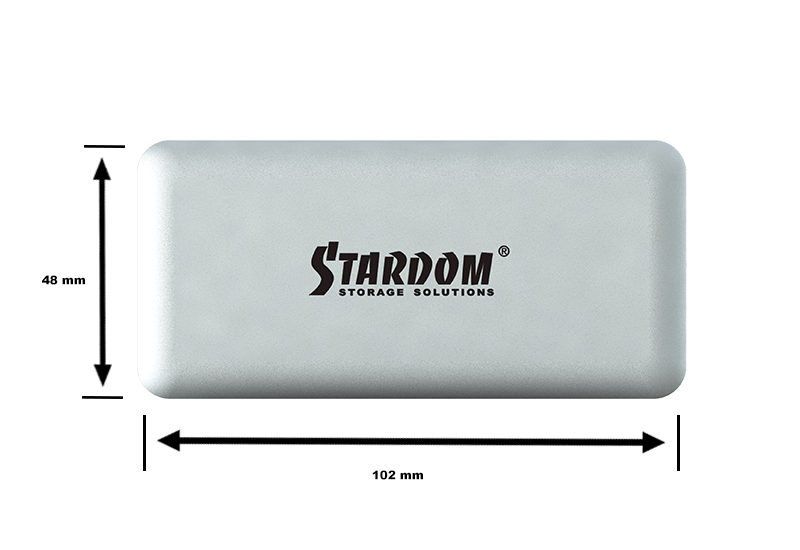 The casing completely encloses the 3D TLC NAND Flash inside, protecting the high-capacity the 3D TLC NAND Flash and data when it is on the move or in a backpack. 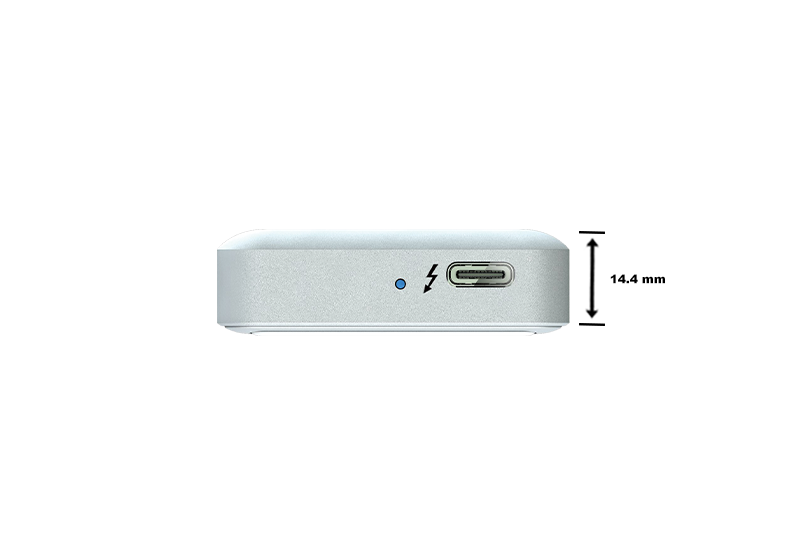 Not only is the casing made of sturdily-built aluminum alloys, the excellent heat dissipation of aluminum also means that it is highly efficient in cooling and absorbing the heat of the internal components, keeping your data safe and right temperature.